This entry was posted on August 4, 2018 by Admin. In this session we’re going to be looking at combining some really tough workouts, and supersetting some other routines, to try to give you and your muscles a really hard time. It’s going to be difficult, and we’re going to start with something that many of you will fail at right off the bat. Don’t worry if you do. But keep going. Never give up. If you find yourself failing way before the end of your set, reduce the reps by a couple. But always strive to complete the set. As always, before we start it’s a very good idea to warm up. Now, while studies have shown static stretching to actually reduce the range of motion and weight lifting ability of athletes, as always, it’s not as simple as that and many professionals disagree. What we suggest is to warm up with a range of exercises that are static and dynamic. So stretch, and do some knee ups, stretch a bit more, do some jumping jacks or skipping rope. We’re going to be doing upper body work, so focus on the muscles you’ll be using for this workout. Now that’s out of the way, let’s get into the workout. We’re going to start with wide-grip pull ups. 10 of them in each set; 3 sets. Yep, this is a huge challenge for most people. 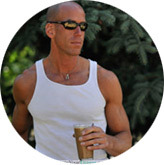 I’m not going to sugar-coat it – pull ups are tough, and wide-grip pull ups are even more difficult. This is because we’re using less bicep and pectorals, and more latissimus dorsi. This is also why we’re doing this exercise first. You may not be able to make 10 even in the first set. If you find yourself failing after 6 or 7, then stick with 3 sets of 7 reps.
Give yourself a short break of around a minute, and move immediately onto the next exercise, which is chin ups. Moving from pull ups to chin ups may sound like more of the same, but chin ups take much of the strain away from your back muscles to focus on your (stronger) biceps. The neutral grip chin up is a bit of a trade off in this sense, as it allows the lower trapezius to take some of the pressure away from the biceps. You’ll find this exercise easier, but 8 reps is still going to be a challenge. If it’s too much, try a standard underhand chin up. But try to complete each set. With your body in tension, while hanging from the bar, perform 10 – 12 reps of knee raises, immediately followed by 10 – 12 reps of leg raises. You can alternate them, as in the video, if you want to mix things up a bit. Give yourself a 45 -60 second rest between each superset (not between exercises!). Scissor kicks look easy. They’re not. This will put some serious strain on your core and stomach muscles. Do as many reps as you can, then have a short break (45 seconds) then repeat. 3 sets, each set to failure. Now your upper body has recovered at least to some degree from the change of focus, let’s get back on it with some push-ups. Due to the way each of these types of push up use slightly different muscles, we’ll be supersetting incline and decline push-ups. 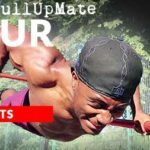 The Pull Up Mate is great for this as it allows a neutral grip, and a perfect base for both types of push up. Do 12 reps of incline push-ups, then immediately move into 12 reps of decline push-ups. No rest until you’ve completed both – that’ll be one set. Let’s mix it up for a bit with some hop overs. This doesn’t look like much, but I promise you you’ll feel the difference in your core muscles after a few sets! Run each set to failure. This might not be long for some, but for others you may continue into a very high rep range. For this exercise we’re going to be using a close grip, putting more focus on triceps. While it’s a similar movement to the chin up, we’re going to be using a supinated grip (palms forward) in order to bring a different group of muscles into play. The inverted row is generally easier to manage than the chin up as it’s partly assisted with your feet resting on the floor. Though don’t ever consider it easy, especially after the exercises we’ve completed already. Carry out 2 sets of 12-14 reps before moving onto the next exercise. The bar rows will have put a good heat cycle into your triceps, so now’s a good time to put them under some real pressure. Tricep dips (https://www.bodybuilding.com/exercises/dips-triceps-version ) are a tough body weigh exercise, and at this stage it’s going to be hard to get through each set. Failure for you might be only 6-8 reps right now. That’s fine, just make sure you get through each set. This is the final exercise so make it count. To celebrate making it to the end of the workout you can now happily take on some cardio work. It’s often recommended that doing cardio exercise after a workout is more beneficial. This is because you’ll burn more fat in the process due to having used up your glycogen reserves during the weight training. It’s a debatable point, but I know I find it tough pushing out more reps after I’ve spent 30 minutes running on the treadmill. Once you’ve done (or avoided!) your cardio work, you need to cool down. It’s important to warm down after a workout for a number of reasons. You need to get your heartbeat under control, you need to ensure any blood pooling doesn’t lead to dizziness as you might faint, you need to work off any buildup of lactic acid, and it helps to reduce cramping and muscle spasms. You don’t need to do anything strenuous. Just go for a 5 minute walk! And that’s it. You can take the rest of the day off! 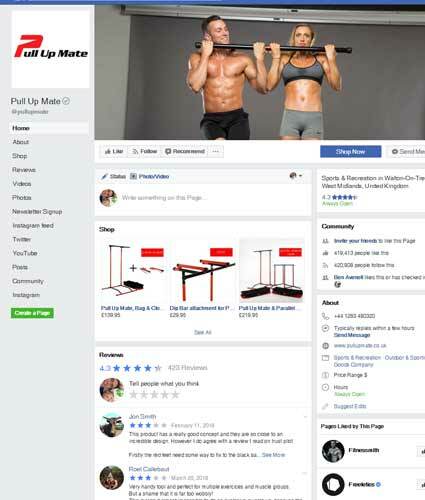 Let us know how you get on in the comments, and if you want to share your workout with us, just send us a clip via Facebook.